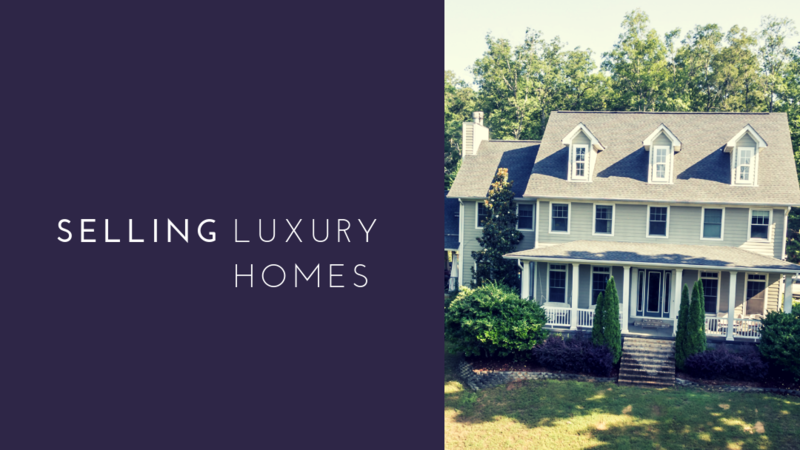 With our annual Luxury Open House Tour coming up, we thought it would be a good time to share our tips for selling a luxury home in the greater Tuscaloosa area. Selling luxury real estate takes strategy, planning, and an agent willing to put in the work. The below tips for selling luxury real estate must be followed for a successful sale. Tips for selling a luxury home: Price it right! Luxury homes need to be priced right from day one. Priced too high, the home may stay on the market too long and develop a stigma– buyers will think there is something wrong with it. Determining the price of a luxury home adds a layer of difficulty in that there are fewer comparable homes to reference, and each luxury home will have unique features to factor into the listing price. As luxury home experts we carefully weigh the strengths and weaknesses of the home, examine the surrounding market, and study comparable homes to come up with an aggressive price that will attract buyers from the beginning. Tips for selling a luxury home: Use quality photos, videos, and virtual tours. Whether we are putting a $75,000 home or a $1,000,000 home on the market, we hire a professional to photograph the home and create virtual tours. Over 90% of buyers start their home search online and we know the importance of making the best first impression with only the highest quality images. Beautiful pictures paired with high-converting content can tell the story of your home online, and make prospective buyers want to take the next step of scheduling a showing. Video is quickly becoming as important as pictures when selling real estate– especially when selling a luxury home. Buyers could be coming from across the country and a video allows them to get the feel for your home even if they aren’t yet able to see it in person. Tips for selling a luxury home: Showcase location & lifestyle. Luxury homes are often considered luxurious because of their location and lifestyle. When photographing the home, images of the community amenities like golf, tennis, pools, or walking trails also need to be included. If your home is part of a development that includes club privileges, that needs to be detailed in the property write-up. When telling the story of your luxury home make sure the potential buyer can envision not just the features of the home, but also the lifestyle they will enjoy once they move in. Tips for selling a luxury home: Determine if an open house is needed. You’ll find mixed reviews about the benefits of hosting an open house to sell a luxury listing. Our experience has been a positive one. We host one luxury open house tour annually to connect luxury buyers and seller as quickly as possible. Last year one of the homes on the tour sold during the open house. Another received an offer shortly after. We agree with the consensus that an average open house wouldn’t do the trick for selling a luxury listing. It may just attract looky loos. Instead you need a thoughtfully planned open house event that identifies and targets luxury home buyers. Then ensure everyone that walks through the doors has an exceptional experience inside the home. Tips for selling a luxury home: Implement online and traditional marketing strategies. We are not “post and pray Realtors.” Meaning, we aren’t going to post your home on MLS and wait for it to sell. Selling a luxury home takes an extensive marketing plan and a lot of work. Finding the right buyer requires spreading the word about the property for sale. It is extremely important to utilize the internet to market real estate. Before hiring an agent check out their online presence. Are they promoting listings on social media? How’s their website? You need an agent skilled in search engine optimization, digital ads, and social media marketing because more and more buyers are looking for homes on their smartphones and tablets. Leveraging an agent’s network is equally important. A successful agent will have a database of past clients, other agents, vendors, and potential buyers that your luxury home will be marketed to. You want an agent who can reach clients who are buying what you are selling. Printed marketing materials that sell a lifestyle and highlight the features of the property are also important when promoting a luxury home. Perception is everything when it comes to marketing to buyers who are purchasing an expensive home, so printed materials should be of the highest quality and should be tastefully designed. The bottom line is don’t rely on one marketing tool, take advantage of them all. A good agent leaves no stone uncovered when marketing a luxury home. Tips for selling a luxury home: Timing is important. Luxury homes often boast awesome amenities like pools, tennis courts or fantastic landscaping. Many luxury homes here in Tuscaloosa and Northport are located on the lake and offer stunning waterfront views. Maybe your luxury home sits on the North River Yacht Club or Indian Hills golf course. In spring and summer, the buyer can take all of this in and really get a true feel for why your home is so amazing. By showing your home in the best possible light, your home will fetch a better price. Unless your financial situation dictates a winter sale, listing your luxury home during cold, blustery months could make selling more difficult. Buyers may not be able to see the full potential of your home because the cold and constant cloud cover obscure the many benefits of owning the home. The luxury real estate market in the greater Tuscaloosa market includes properties sold for $500,000 or more. Below is a case study reviewing the luxury real estate market in the Tuscaloosa, AL area over the past 12 months. When it comes to average time on the market, the homes that sold for greater than $500,000 in Tuscaloosa county, they took an average of 111 days from listing date to contract date. Those homes sold for less than $500,000 in Tuscaloosa county took an average of 58 days from listing date to contract date. Again, as you can see the average time on the market for a luxury home is going to be higher than non luxury real estate, and most likely applies to markets across the country. Tricia and Jason Gray are members of Keller Williams Luxury International, an exclusive, elite and sophisticated group of real estate consultants who absolutely raise the bar for service in the upper-tier home market. If you are interested in selling your luxury home in the Tuscaloosa market, give us a call any time at (205) 799-9610.